CSR Racing (v1.0.7) — Mobers.ORG — Your Daily Source For Mobile FUN! 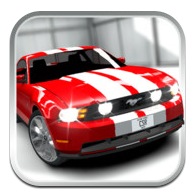 Race your dream car in the ultimate test: a drag race along deserted city streets. CSR Racing combines stunning, high-fidelity graphics with addictive gameplay to create a new type of racing experience. Upgrade your Audi R8, BMW M3 or Chevy Corvette with turbos, nitrous injection and aerodynamic tweaks to beat tougher and tougher opponents. And when you’re ready, it’s time to challenge the crews that rule the city. R8 vs GT-R. Corvette vs M3. Your car against theirs. In a straight line. It's about power, skill and tactics. Hit the right revs and let that turbo work. But deploy the nitrous at the wrong time, and you're toast. Choose from turbos, engine stages, ECU tweaks, racing tires and much more to strategically upgrade your car to fit your driving style. But remember: no two cars are the same – don't overload a RWD on skinny tires with power it can't handle.